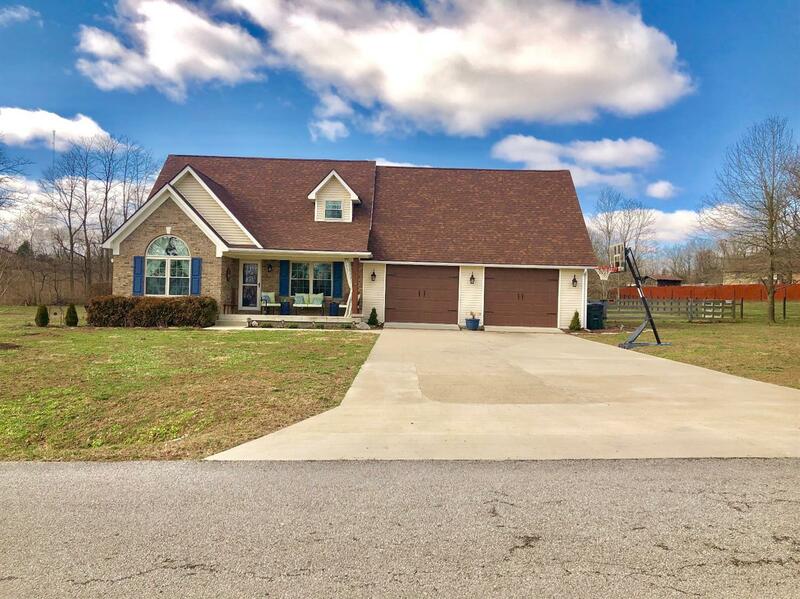 This lovely home will make you feel right at home! Features 3 bedrooms, 2 full baths. Master on the main level with a large big bay window looking out the front of the house, high vaulted ceilings, walk in closet, and beautiful master bath. Newly added on 2 car garage with its heating and air, also a gorgeous sunroom all glassed around perfect for those snowy and rainy days to relax at, 30 ft pool with a deck. Brand new windows, doors, roof, and many more updates. This home sits on 1 acre lot completely landscaped, and partially fenced in. About 20 minutes from Lexington. Then Herrington lake just a few minutes away! Call for your showing!